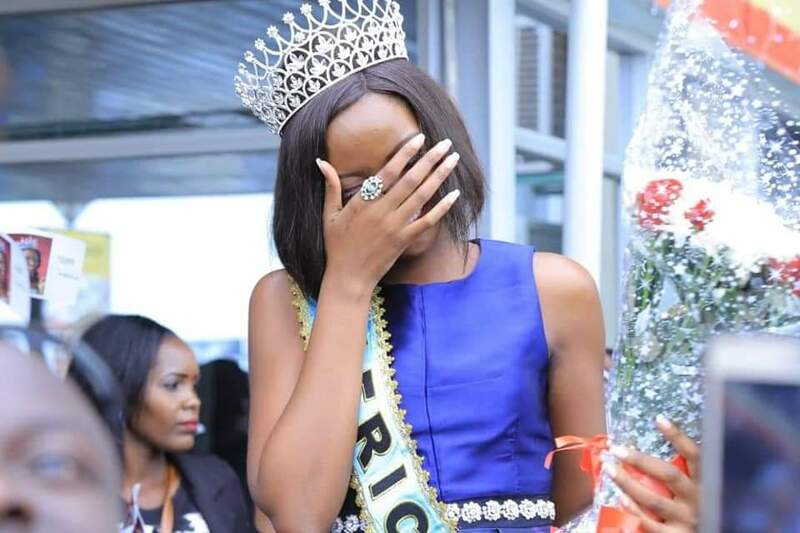 PARLIAMENT – Days after the reigning Miss World-Africa beauty queen, Quiin Abenakyo, acquired a controversial Bachelor’s degree in Business Computing from Makerere University’s business school (MUBS), several individuals have challenged her qualification. Abenakyo’s life has been embroiled in several controversies forcing the Tourism Ministry to drop her as Tulambule ambassador early this week. Several people including Makerere students have since attacked the beauty Quiin with various unpleasant labels including calling her a cheat and a not so smart lady. David Musiri, a Makerere student, says the reigning African queen did not meet all the legal requirements for the award of the aforementioned degree. To that effect, Musiri on Tuesday petitioned the Criminal Investigations Department (CID), the Academic Registrar of Makerere and the National Council for Higher Education to investigate what he calls the complicity of the vice-chancellor Prof Barnabas Nawangwe in allegedly giving a female student academic favours for selfish reasons. “The girl has advertised the country free of charge. Let her make her contribution to the country. You also make yours wherever you are,” Obore twitted.